Pittsburgh – PennDOT District 11 is announcing the inbound (northbound) Liberty Tunnel (Route 3069) in the City of Pittsburgh, Allegheny County will be closed to traffic continuously from Aug. 5-22. The inbound Liberty Tunnel closure will begin on Tuesday night, Aug. 5 at 8 p.m. and remain closed around-the-clock through 6 a.m. Friday, Aug. 22 as crews paint the tunnel. Overnight outbound closures may occur as needed during this time frame. A press release will be issued when outbound work is scheduled. 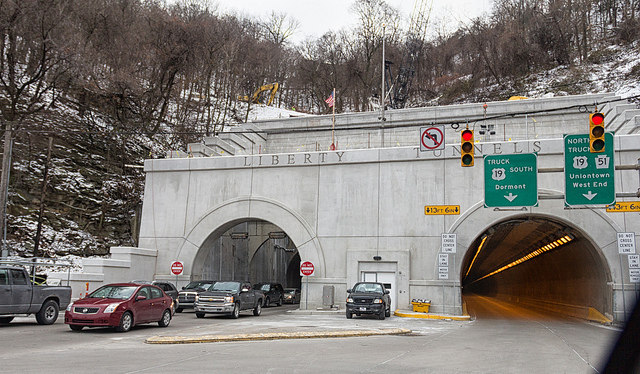 The $18.8 million Phase IV Liberty Tunnel project includes repair of structural concrete, updating and repair of electrical, lighting and safety systems, refurbishing of the portal buildings and other improvements. The prime contractor is the Swank Construction Company, LLC. Overall work will conclude this fall. The 5,889 foot-long Liberty Tunnels were built in 1924. 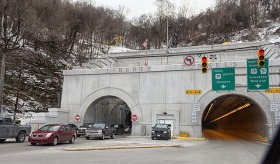 Approximately 45,000 vehicles use the Liberty Tunnels on an average day. PennDOT reminds motorists they can log on to 511pa.com or call 511 from any phone to check traffic conditions on major roadways before traveling.